1. Ruggles, Kelly V., et al. "Methods, tools and current perspectives in proteogenomics." Molecular & Cellular Proteomics 16.6 (2017): 959-981. 2. Nesvizhskii, Alexey I. "Proteogenomics: concepts, applications and computational strategies." Nature methods 11.11 (2014): 1114-1125. 3. Alfaro, Javier A., et al. "Onco-proteogenomics: cancer proteomics joins forces with genomics." Nature methods 11.11 (2014): 1107-1113. 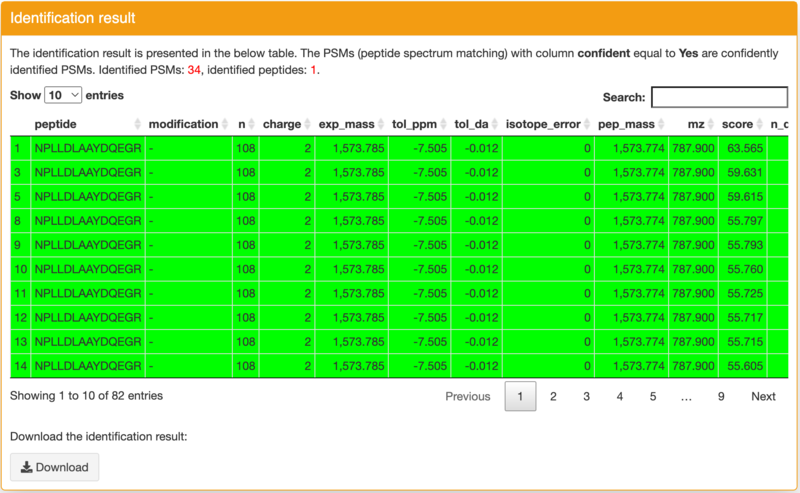 PepQuery is a peptide-centric search engine for novel peptide identification and validation. It's different from the spectrum-centric search engines, such as Mascot, MaxQuant and MS-GF+. Please go to the Download page to download the standalone version of PepQuery. It's written by Java and is platform independent. This package is a zip file. After you download it, please unzip it and you will find a jar file in the package folder. If you want to take a Variant Call Format (VCF), Browser Extensible Data (BED) or Gene Transfer Format (GTF) file as input, you will need to install R and the R package PGA. You need to prepare annotation data according to the user's manual of PGA before you start to run PepQuery with taking VCF, BED or GTF file as input. 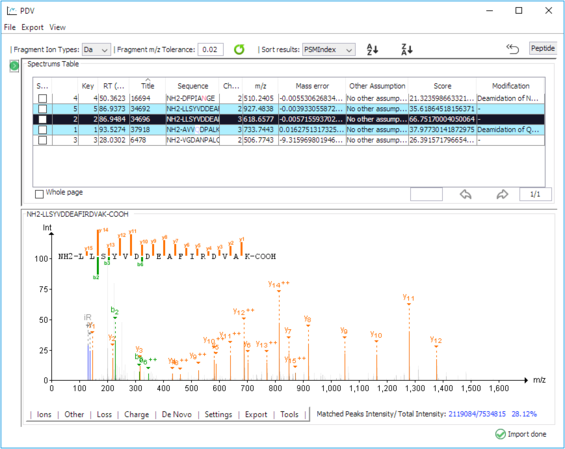 PepQuery uses PGA to translate the events in the VCF, BED or GTF file to protein sequences. If you want to know more about PGA, please read the paper of PGA (doi: 10.1186/s12859-016-1133-3). If you only want to take a peptide, protein or DNA sequence as input, you don't need to install R and PGA. You can use PepQuery through the web server of PepQuery. Using the web interface, you don't need to prepare the MS/MS data and protein reference database. Of course, you also don't need to install the PepQuery software in your computer. All you need to provide is the target peptide sequence which you want to identify. Currently, the web interface accepts taking peptide, protein and DNA sequences as input. For each search, only one sequence is supported. If you have multiple sequences, pelase do multiple searches. MS/MS dataset: select one MS/MS dataset which you want to search. Currently, there are more than 40 cancer public datasets ( > 0.5 billion MS/MS spectra) which are avialable in the web application of PepQuery. Please find the details in the next section. Target event: select the sequence class you provide. For the web interface, peptide, protein and DNA sequences are supported. Input sequence: a peptide/protein/DNA sequnce depends on your selection for target event. For one search, only one sequence is accepted. Unrestricted modification filtering: Whether or not to do the unrestricted modification search filtering. For each dataset in this web application, we have selected a set of optimized MS/MS searching parameters so that users don't need to set these parameters by theirself. In the result page, you can find the detailed MS/MS searching parameters for the selected MS/MS dataset. We have prepared > 40 MS/MS datasets (> 0.5 billion MS/MS spectra) from CPTAC and other resource in the web interface. cptac_colon_2014_nature: this dataset contains 95 colon tumor samples. The dataset is downloaded from CPTAC data portal: https://cptac-data-portal.georgetown.edu/cptac/s/S022. 2. Zhang, Bing, et al. "Proteogenomic characterization of human colon and rectal cancer." Nature 513.7518 (2014): 382.
cptac_ovarian_2016_cell: this dataset contains 174 ovarian tumors. The dataset is downloaded from CPTAC data portal: https://cptac-data-portal.georgetown.edu/cptac/s/S026. 2. Zhang, Hui, et al. "Integrated proteogenomic characterization of human high-grade serous ovarian cancer." Cell 166.3 (2016): 755-765.
cptac_breast_2016_nature: this dataset contains 105 breast cancers. The dataset is downloaded from CPTAC data portal: https://cptac-data-portal.georgetown.edu/cptac/s/S029. 2. Mertins, Philipp, et al. "Proteogenomics connects somatic mutations to signaling in breast cancer." Nature 534.7605 (2016): 55.
cptac_oral_2017_NC: this dataset contains 38 normal/tumor paired tissue samples. The dataset is downloaded from CPTAC data portal: https://cptac-data-portal.georgetown.edu/cptac/s/S034. 2. Chen, Ting-Wen, et al. "APOBEC3A is an oral cancer prognostic biomarker in Taiwanese carriers of an APOBEC deletion polymorphism." Nature Communications 8 (2017). NCI60_full_proteome: this dataset contains 59 cancer cell lines. The dataset can be downloaded from PRIDE: http://www.ebi.ac.uk/pride/archive/projects/PXD005946. 2. Gholami, Amin Moghaddas, et al. "Global proteome analysis of the NCI-60 cell line panel." Cell reports 4.3 (2013): 609-620. All the available datasets in the web server are listed below. Please click the data accession number to find the details for each dataset. Next follow the instruction described here to search multiple datasets in single run using PepQuery. Identification result: this panel contains the detailed identification result for input sequence. If a row is green, it indicates this identification is confident (pvalue≤0.01). You can click a row then you can find the spectrum annotation figure in the "Spectrum annotation" panel. 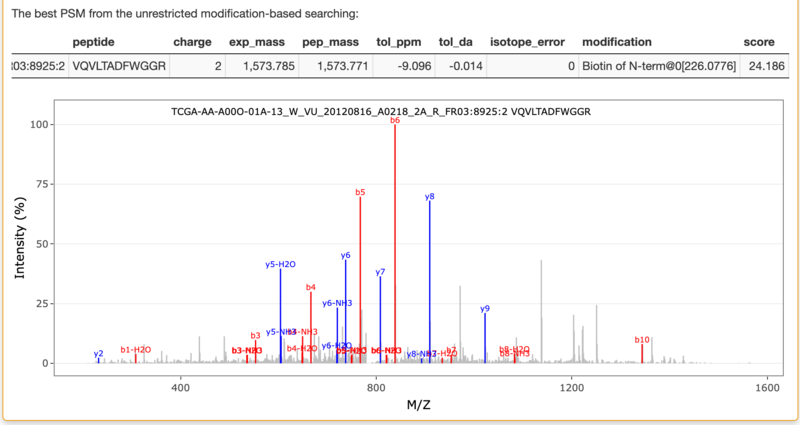 This figure can help you further evaluate the quality of the peptide spectrum matching. If you want ot download the identification table, you can click the "Download" button in the bottom of this panel. Using the "Search" function, you can quickly filter the rows you want. 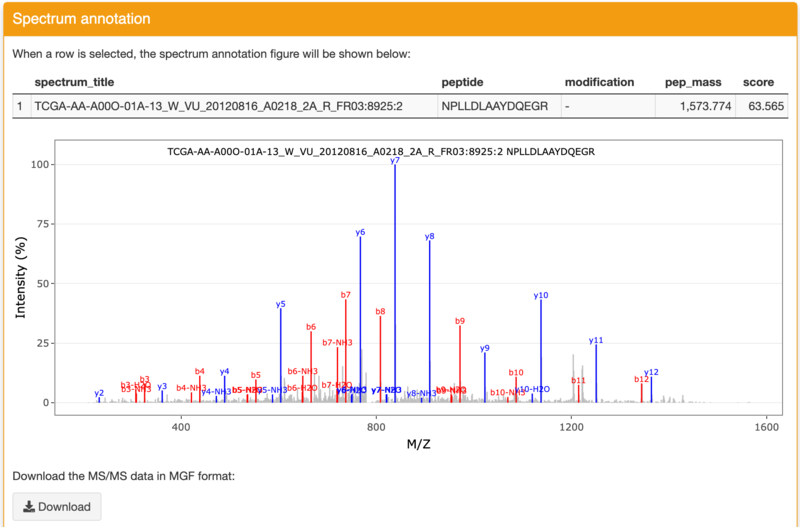 Spectrum annotation: this panel displays the spectrum annotation figure of the identification you selected in the Identification result panel. The matched ions are displayed with different colors. The figure can be zoomed in and zoomed out. You can download the figure and the MS/MS data refered to this identification through the functions in this panel. Sample information: you can find the sample information for the selected row in the "Identification result" panel. 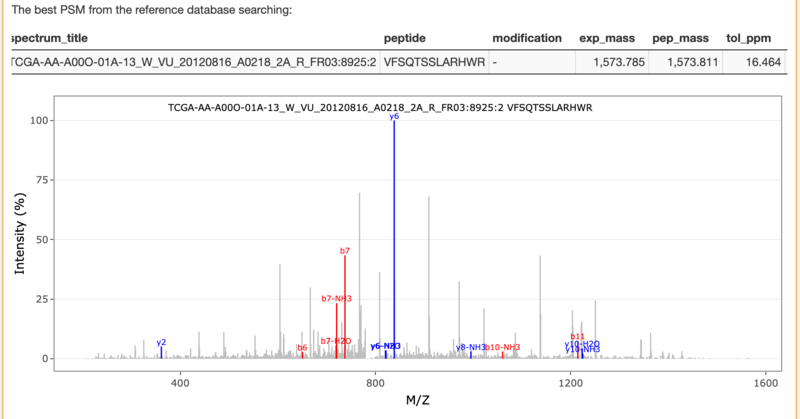 As for the standalone version of PepQuery, usually you need to provide MS/MS data in MGF format, a reference protein database in FASTA format and a peptide, protein or DNA sequence. However, if you want to take a VCF, BED or GTF as input, you will need to provide a folder which includes annotation data. This annotation data will be used to translate the input events into protein sequences. -ms: MS/MS data in MGF format. If you have MS/MS data with raw, mzML or mzXML format, you can easily use some tools such as ProteoWizard to convert these data to MGF files. This parameter accepts a single MGF file or an SQL file which contains MS/MS spectra. -h: print all the command line options. PepQuery outputs results as several tab-delimited text files. psm_rank.txt: this is the mainly result file of PepQuery. This file includes the detailed identification results for the input target peptide. peptide A target peptide sequence. modification Modification information of the target peptide. For example, "Deamidation of N@6[0.9840]". "-" means there is no modification. n The number of candidate spectra for the target peptide. spectrum_title Sepctrum title of the matched spectrum. charge The charge state of the precursor ion. exp_mass The experimental mass of the matched spectrum. ppm Mass error in ppm unit. pep_mass The theoretical mass of the peptide. mz The mass-over-charge value of the precursor ion. score The score of the identification, where larger is better. n_db The number of better matched peptides from the reference protein database to the matched spectrum. total_db The total number of matched peptides from the reference protein database without regarding the score. n_random The number of better matched random peptides to the matched spectrum. total_random The total number of random peptides. pvalue The pvalue of the identification, where smaller is better. rank The rank of the identification. n_ptm The number of better matched modification peptides when performing the unrestricted modification searching. psm_rank.mgf: this is an MGF file which contains all the MS/MS spectra in psm_rank.txt file. The users can extract the MS/MS spectra from this file if they want to do some downstream analysis. ptm_spectrum_title Sepctrum title of the matched spectrum. ptm_charge The charge state of the precursor ion. ptm_exp_mass The experimental mass of the matched spectrum. ptm_pep_mass The theoretical mass of the peptide. ptm_modification Modification information of the target peptide. For example, "Carbamidomethylation of C@2[57.0215];Methyl of C@2[14.0157]". ptm_score The score of the identification, where larger is better. ptm.txt: this file contains all the identifications from the unrestricted modification searching. All the modification peptides in ptm_detail.txt which are from the unrestricted modification searching are also included in this file. modification Modification information of the target peptide. For example, "Carbamidomethylation of C@2[57.0215];Methyl of C@2[14.0157]". The result files of PepQuery can be imported to PDV which is developed by our lab to visualize. Currently, the two files psm_rank.txt and ptm.txt can be imported into PDV. Through PDV, you can check the spectrum annotation figure for each identification one by one and you can also export the annotation figure in different figure format. This function can help you further evaluate the quality of the identification manually. 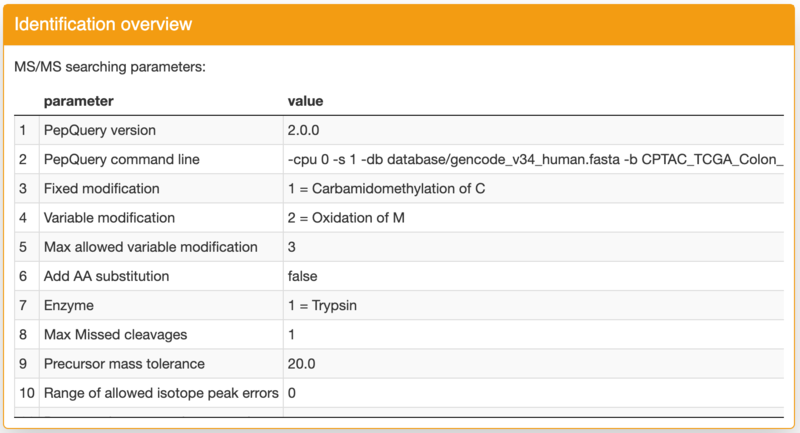 We also provide a tool to allow users searching multiple MS/MS datasets using PepQuery in single run. Please download the tool here: search_multiple_datasets.py. An example data for this tool can be downloaded here: msdatasets.tar.gz.